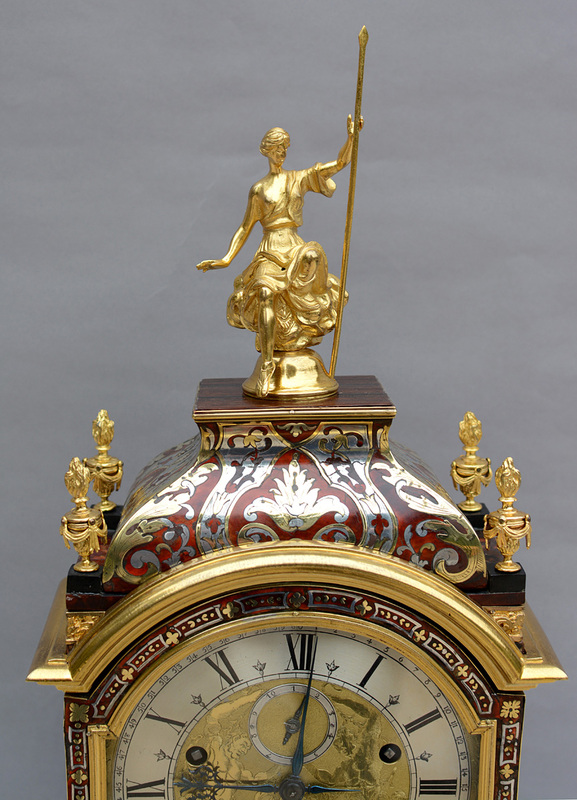 Antique French quarter striking clock by Gilles Martinot in Boulle case with multiple calendars made for Louis XIV in 1685. This unique functioning antique artwork has resurfaced after 330 years combining many artistic and technical skills. 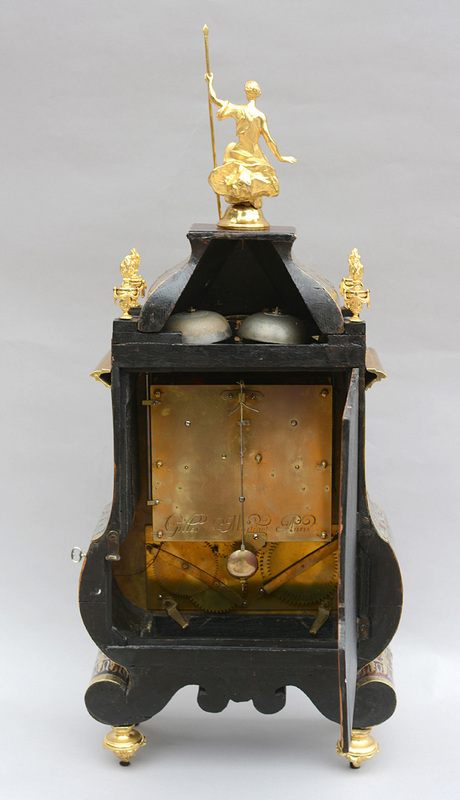 It was created around 1680 for Louis XIV, the ‘Sun King’ of France, by Gilles Martinot and Andre-Chares Boulle. Undoubtably commissioned by the King as few others could have afforded such an elaborate, time consuming. and costly undertaking. 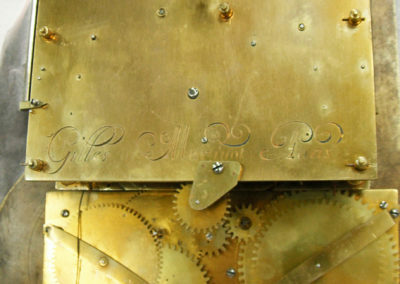 The heart of this artwork is a clock, but there is much more. 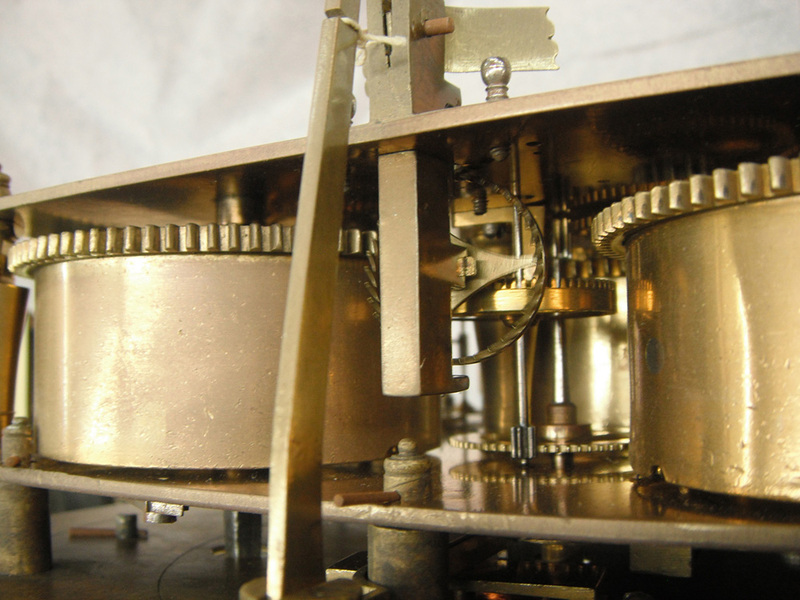 The clock movement has multiple functions, elaborate for a clock of today but even more impressive for something created in the 17th Century. 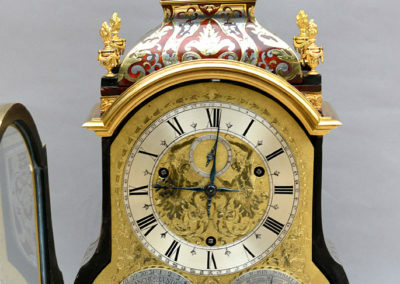 The dials and face plate were elaborately engraved by master engraver Martinot to depict facts and figures that were important to the Royal commissioners of the time. 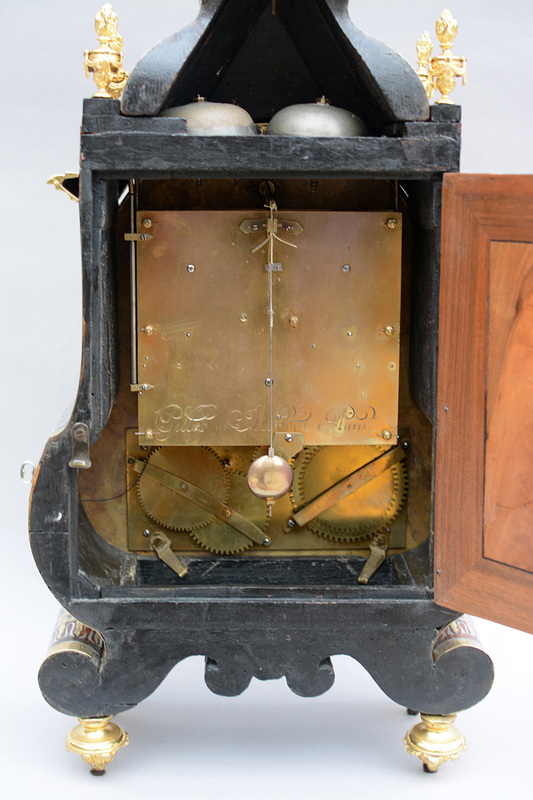 The shape of the case was designed by Boulle to house the movement and accent all it’s displays which include four dials plus an opening that shows a rotating engraved disk depicting the phases of the moon. 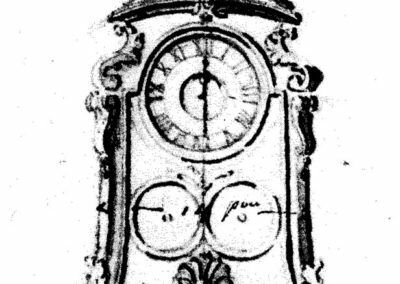 While other 17th Century clocks would strike the hour and some even the quarter hour this is a Grand Sonnerie, which strikes the quarter hour and the hour every fifteen minutes using two different bells. Additionally it tells the date, day of the week, month, age and phase of the moon, signs of the Zodiac, sunrise and sunset in Paris, and on what day Easter occurs each year. 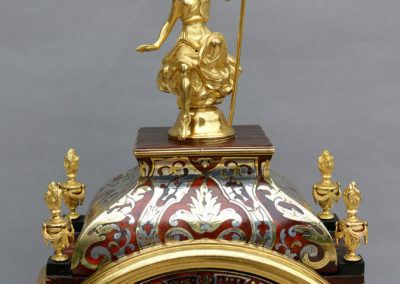 Martinot collaborated with the famous case maker Andre-Chares Boulle to design a purpose-built unique case using tortoise shell, silver, gold, and pewter inlay of the highest quality. The detail work of the engraving on the mask and dials by master engraver Martinot is superb and the characters were created to special order. The ormolu castings are of the highest quality and different to each side which indicates the King had his preference for the design of each piece. 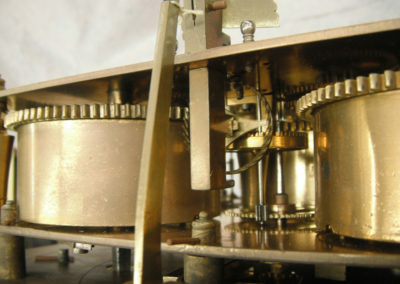 It is not known at this time if the movement dictated the beautiful shape of the case or the case was the primary factor, either way the result is stunning. 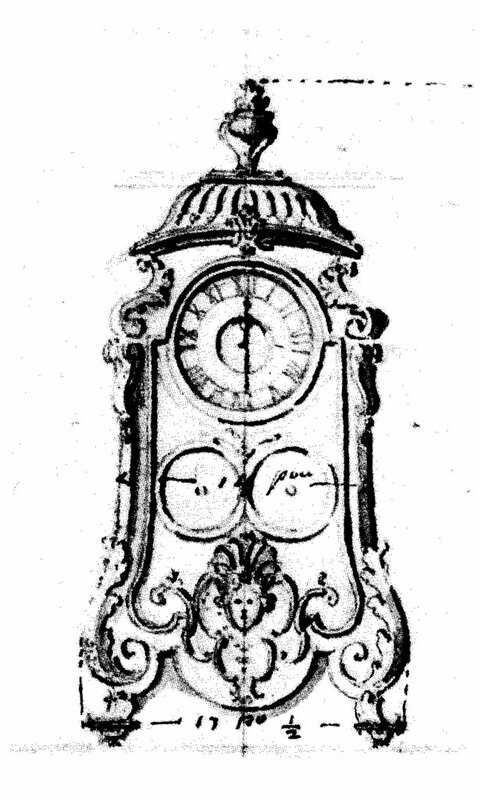 We have a copy of the sketch, attributed to Andre-Charles Boulle, made prior to constructing the clock. 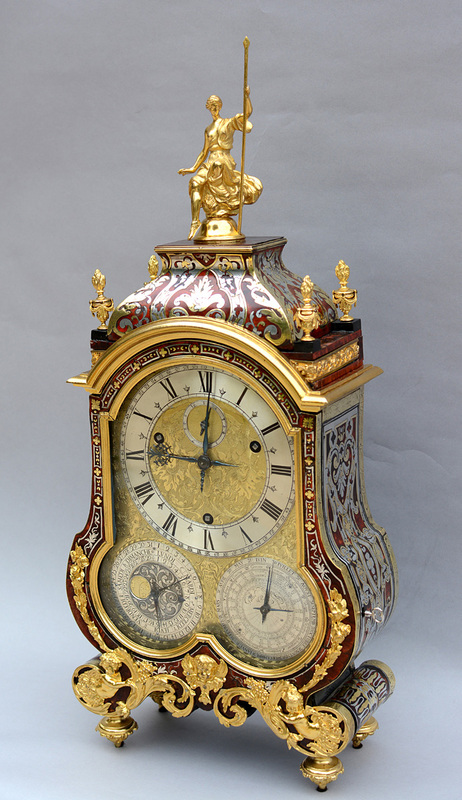 This clock was previously owned by Justice Warren Shepro as part of a large collection of important French clocks and auctioned by Sothebys in New York, 2001, and has been in a private California collection since. 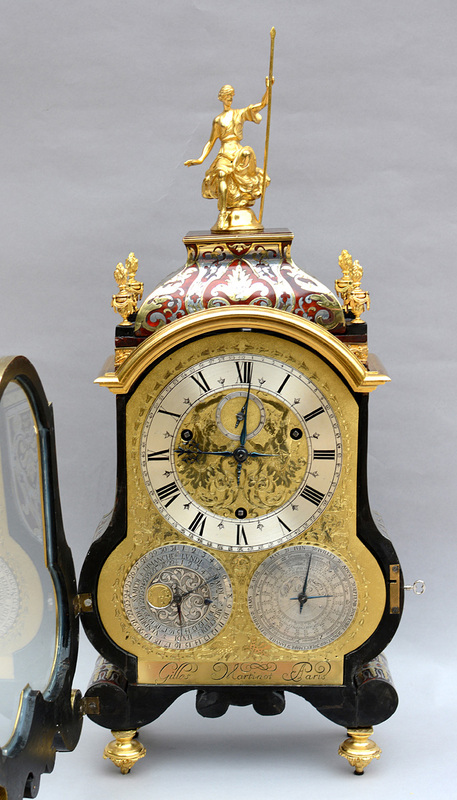 It was delivered to Louis XIV at Versailles in 1685. 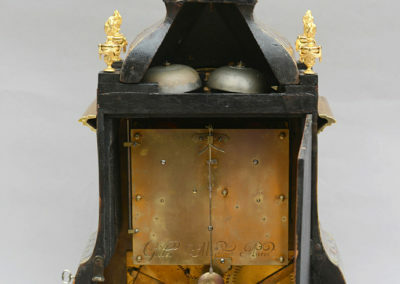 The clock is in original and working condition 330 years later. 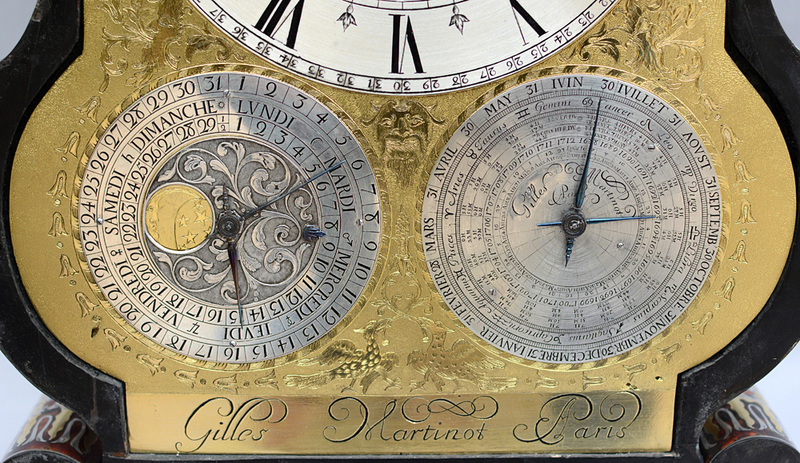 Gilles Martinot was the most famous of a large 17th Century clockmaking family. 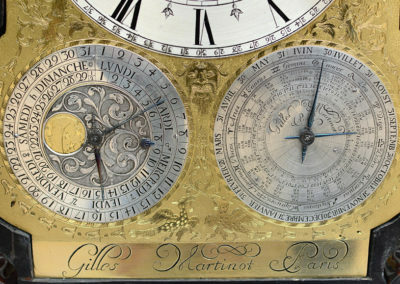 Gilles was a master engraver by 1644 and a master clockmaker by 1646. 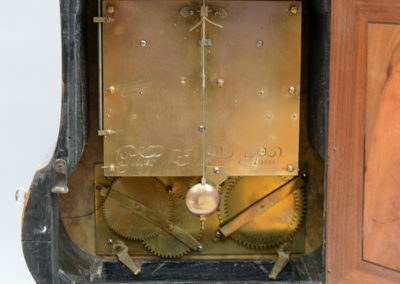 Martinot worked with Christiaan Huygens to develop the use of a pendulum on spring powered table clocks starting around 1660. 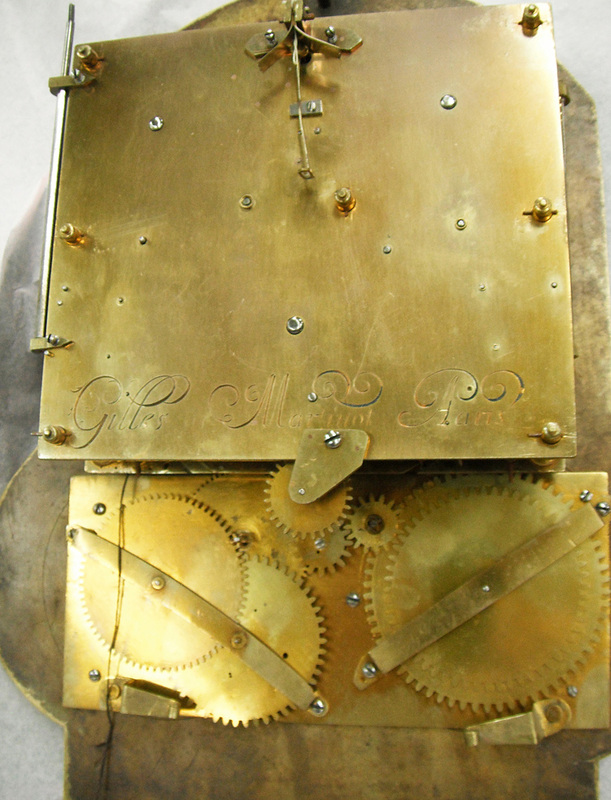 He also made a gold clock for Louis XIV in 1663, supplied other timepieces to the royal family, and was responsible for restoring clocks at Versailles. Most of Gilles work has been lost over time and what remains is in museums, notably the Musée du Louvre and Musée des Arts Décoratifs in Paris and Château de Versailles or private collections and rarely offered for sale. 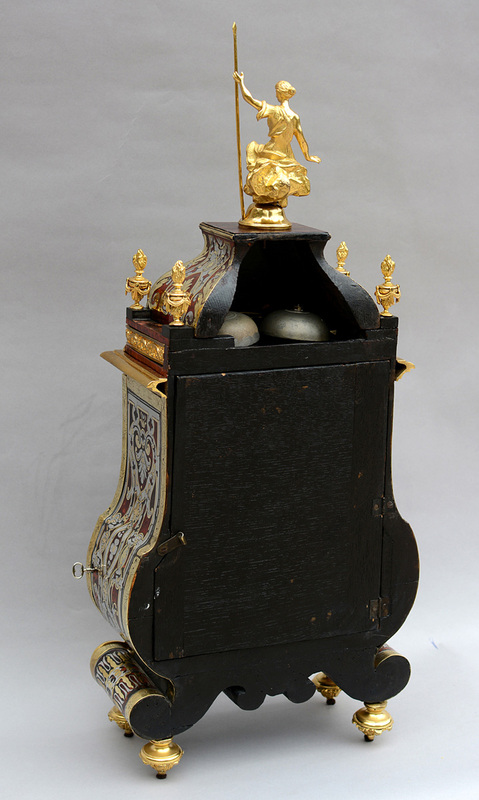 Andre-Chares Boulle (1642-1732} became the Chief Cabinet-maker to the King. The history of Boulle’s life is another fascinating story for those interested in further research. 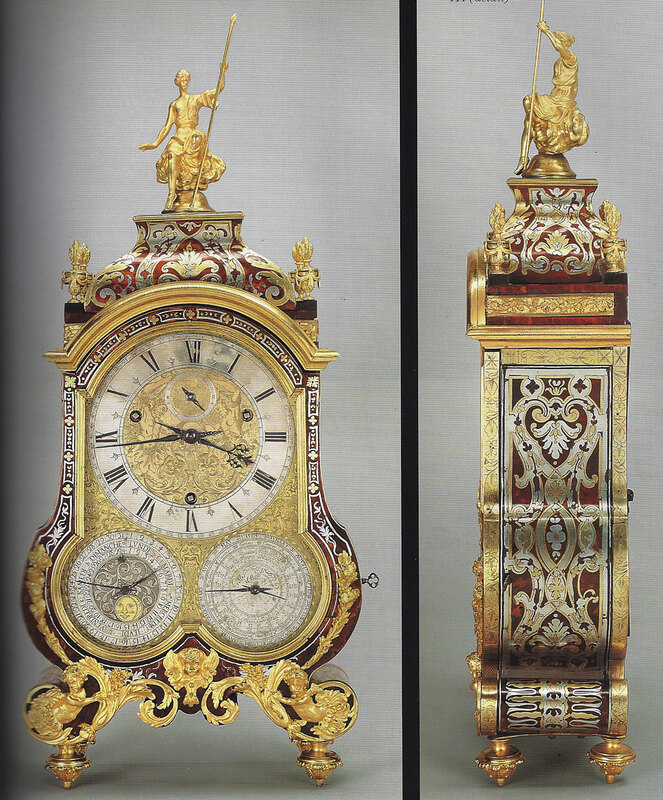 Beginning in 1672, he started to produce all kinds of furniture for Louis XIV, his family, and the court. In 1684-1692, the Grand Dauphin commissioned Boulle Marquetry for the panelling and parquet of his study in Versailles but it was later dismantled and lost over time. 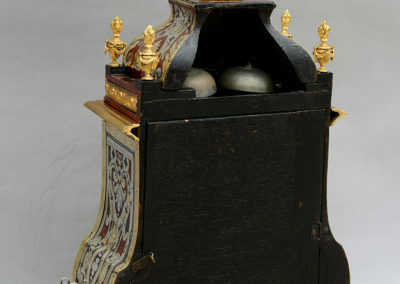 Boulle devised a new process by cutting out patterns from copper and tortoiseshell. He thus obtained two panels: the first was in copper on a background of tortoiseshell, the second in tortoiseshell on a background of copper. 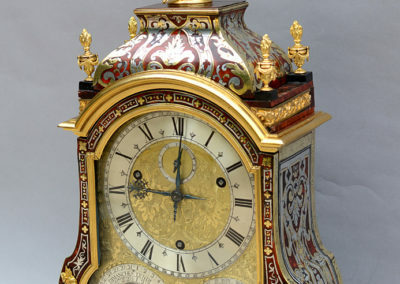 Another major innovation of Boulle’s was the application of gilded bronze on his pieces of furniture and clock cases to protect the most fragile parts or to provide accents. 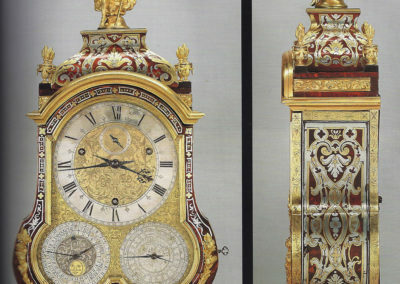 His work became so popular throughout Europe that a complete style of furniture and clock cases was named “Boulle” and is still referenced that way today.